The dead live again in this haunting compendium of ghostly visitations through the ages, exploring the history of our fascination with zombies and other restless souls Since ancient times, accounts of supernatural activity have mystified us. Ghost stories as we know them did not develop until the late nineteenth century, but the restless dead haunted the premodern imagination in many forms, as recorded in historical narratives, theological texts, and personal letters. 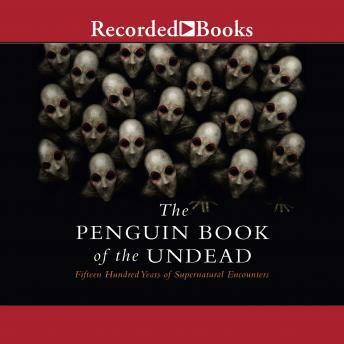 The Penguin Book of the Undead teems with roving hordes of dead warriors, corpses trailed by packs of barking dogs, moaning phantoms haunting deserted ruins, evil spirits emerging from burning carcasses in the form of crows, and zombies with pestilential breath. Spanning from the Hebrew scriptures to the Roman Empire, the Scandinavian sagas to medieval Europe, the Protestant Reformation to the Renaissance, this beguiling array of accounts charts our relationship with spirits and apparitions, wraiths and demons over fifteen hundred years, showing the evolution in our thinking about the ability of dead souls to return to the realm of the living-and to warn us about what awaits us in the afterlife.